AAA Carolinas spokesperson Tiffany Wright, "Water is one of the most deadly components of major storms and is something that many people do not take seriously." GREENSBORO, NC (WFMY) -- With hurricane Florence approaching, AAA Carolinas is warning of the dangers of driving on flooded roads. Although the storm is projected to heavily impact the coastline, areas across North and South Carolina are expected to receive heavy rainfall enabling the danger of severe flooding. Said Tiffany Wright, AAA Carolinas spokesperson. Motorists feel safe in their vehicles against rainwater but they shouldn’t. Just a few inches of water can turn your vehicle into a boat, and could put your life at great risk. If you encounter rising water on roads, AAA urges that you take note of the following tips below. Slowing down during wet weather driving can be critical to reducing a car's chance of hydroplaning when the tires rise up on a film of water. Drivers should reduce their speed to correspond to the amount of water on the roadway. It is important for motorists to allow ample stopping distance between cars by increasing the following distance of the vehicle in front of them. Never use cruise control in wet conditions. The chances of losing control of your vehicle greatly increase. -Avoid slamming on the brakes to maintain control. -DO NOT remain in the car. 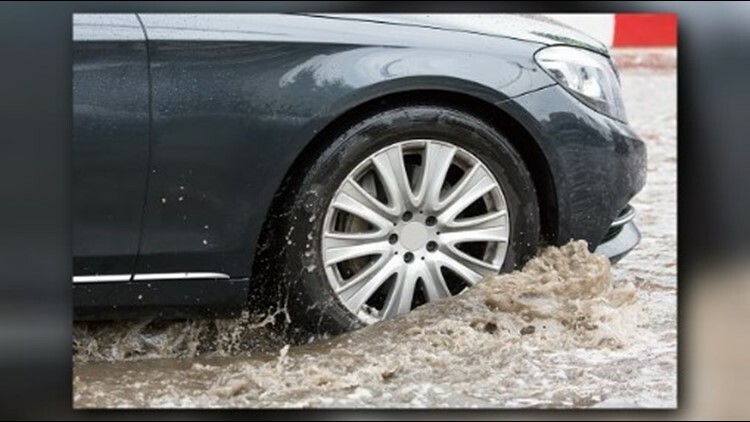 -If your vehicle shuts down while in standing water, do not try to restart it. That could cause more water to enter the engine and could cost thousands to repair. -Abandon your vehicle as soon as possible and seek higher ground. Flood waters can elevate quickly, sweeping away the vehicle and its occupants.